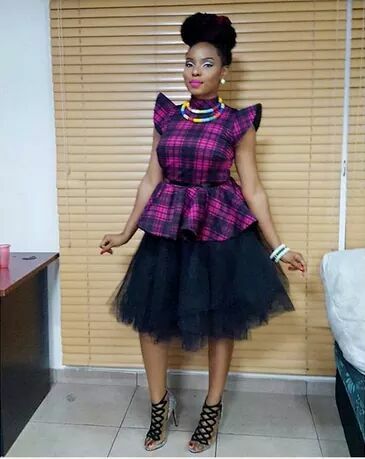 The songstress, Yemi Alade is looking effortlessly gorgeous and stunning in her outfit. She had this look yesterday as she went to church and shared the photo afterwards on her Instagram page, I'm so much in love with the top. Between she wrote, that her brother actually gave her those shoes hmmmm, those shoes be cute for days. I like!